#1. 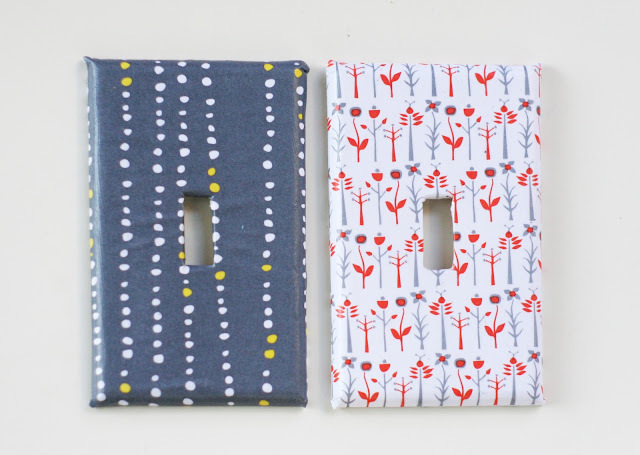 The Plumed Nest has a great DIY for a simple make-over for boring switch plate covers. You know how much I love simple DIYs and pattern, so this tutorial has my name written all over it. #2. I know I haven't made any whisky cocktails yet for my Thirsty Thursday, but whisky really is my drink of choice. 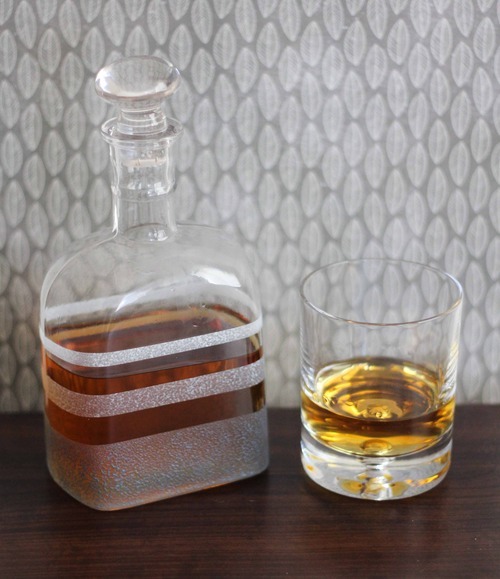 After seeing 52 Weeks Project I know just what my whisky has been missing, a lovely glass (faux) etched decanter. #3. I've been looking for an inspiring tattoo artist that is local for me, and I found Tina Marabito. 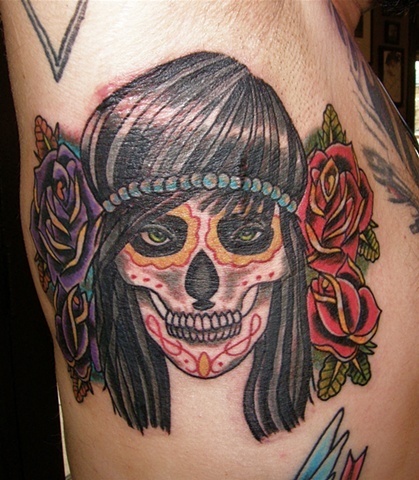 I've never had a desire to get a Day of the Dead skull, but this tattoo totally makes me rethink that. For me that's a sign of a great tattoo artist. If you can make me want to get something permanently inked into my skin that I might not have thought of on my own, you must be pretty darn amazing. #4. 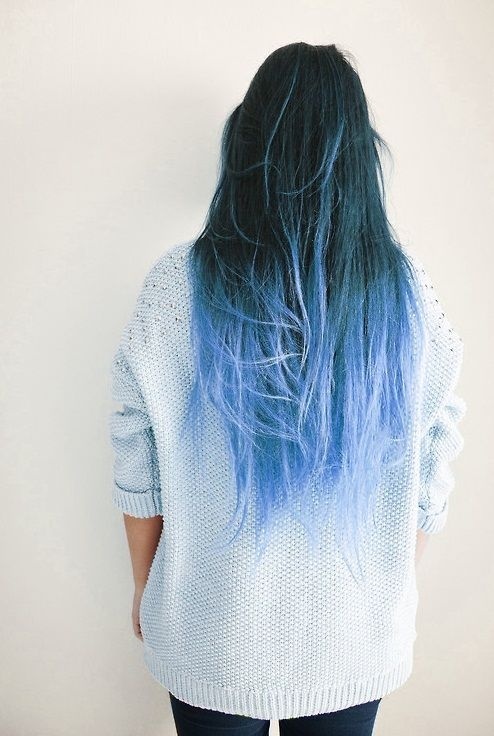 I'm digging all the ombre hair I've been seeing around, but this lady's long blue ombre locks has me wanting to find a job where colorful hair would be acceptable. This hair is fantastic. #5. 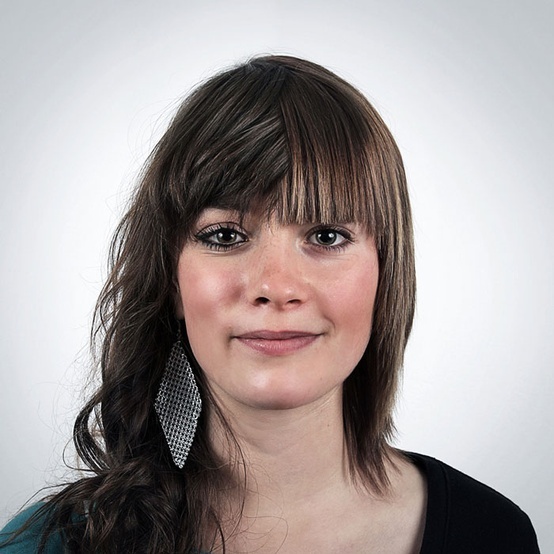 Twisted Sifter is one of my fave websites to check out on a daily basis, and a few days ago they shared Ulric Collette's series Genetic Portraits. In this series he 'shop's together two photos of relatives. This photo is a combo of twins. Positively mesmerizing. I hope ya'll have a great Friday, and happy DIYing, chris!